If deep intense, and velvety blue is the most famous tint, the Pink Sapphire is above all known for its glamorous and romantic side. 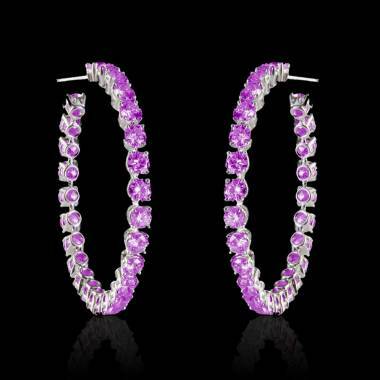 If you wish to get a gift that is original and romantic for the object of your heart, think about getting a pair of Pink Sapphire earrings for women. The Pink Sapphire is the one for you. Happiness for people born in September and for people who are Taurus. 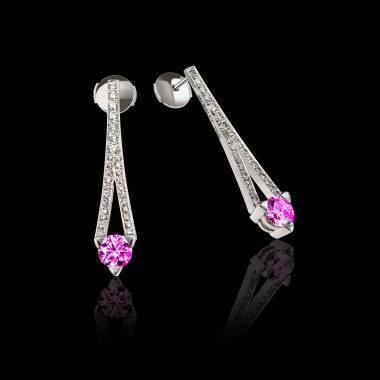 Pink Sapphire Earrings can prove to be a mark of affection and of tenderness and is great for 16 years of marriage. 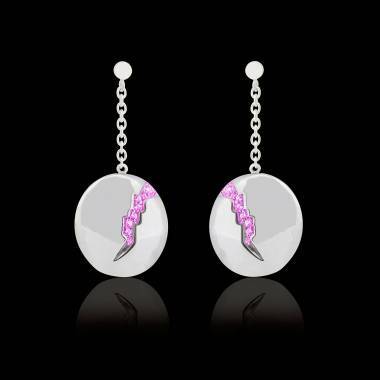 Pink Sapphire Eaaring models by Jaubalet are available on the virtual boutique where you may order directly online. 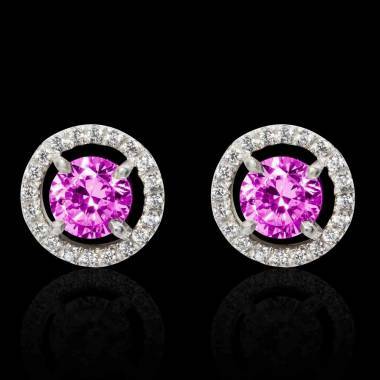 They are also customizable so that you can have the Pink Sapphire Earrings according to your tastes. 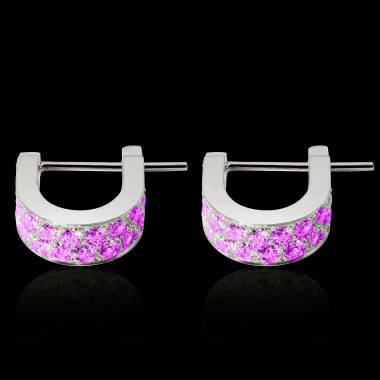 If you are more creative, opt to customize your pink Sapphire Earrings. In this case, you may learn more about buying Pink sapphires on our page dedicated to buying Pink Sapphires in order to make a good choice for your Pink Sapphire Earrings. 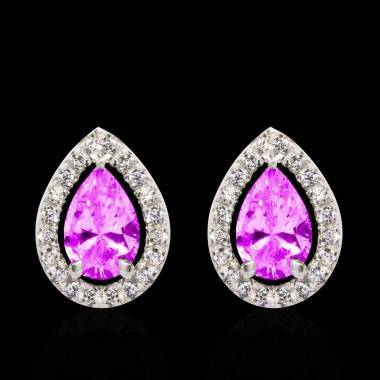 Your Pink Sapphire or Pink Sapphire Earrings for women must be cleaned according to its characteristics. 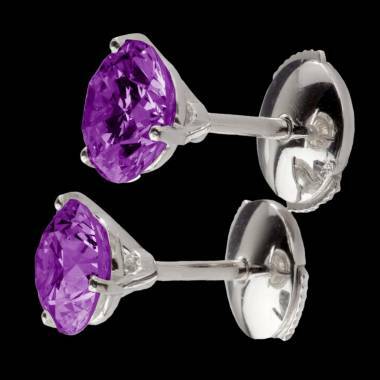 Earrings do not have the same care for earrings set with Pink Sapphires or another model. These are naturally easier to clean. You must put them in a small quantity of soapy water and rub them carefully with a light brush. 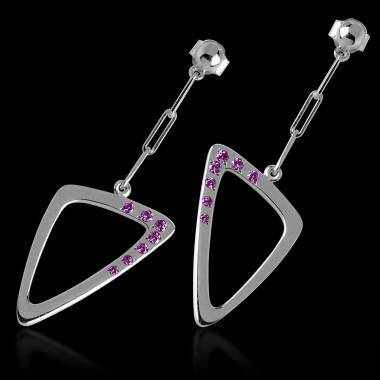 Concerning set earrings, you must clean every part of the setting carefully, but effectively. This will allow you to eliminate all traces of impurity. After washing it, rinse in clear water and rub it with a micro fibre cloth. As for Pink Sapphire Earrings for Women who wants a completely different look, for example earrings that bring different materials together (gold, precious gems, fine or semi-fine jewellery) you will get help caring for your earrings according to these elements. Your sapphire than be cleaned by ultrasound or by a vapour cleaner. Even though the sapphire is a very strong stone, it needs to be cared for. All gems may be broken. To keep something bad from happening, avoid all violent shocks, all contact with corrosive products and chemicals; put your earrings in their own cases and do not wear them while working out and sleeping.